Bill aims to free doctors to more widely practice medicine via telehealth technologies. As things stand today, doctors have little financial incentive to engage in telemedicine because it's hard for them to be reimbursed for services rendered virtually, particularly across state borders. Two Republican senators from Mississippi are looking to change that. In an ambitious effort that appears to have some 20 early bi-partisan supporters, Sens. Thad Cochran and Roger Wicker have introduced the Telehealth Enhancement Act. The bill aims to free doctors to more widely practice medicine via telehealth technologies by altering Medicare payment policies to cover some critical access hospitals and home health services. "This legislation is an effort to build on the progress already being made by expanding the use of telehealth technologies to better serve patients and save taxpayer dollars," Cochran said in a prepared statement. Wicker added that "telehealth cuts down travel time and increases access to specialists for residents in many rural areas who do not live near these essential healthcare resources." While Mississippi is widely considered both the poorest and the unhealthiest U.S. state, it's already "serving as a model for telehealth policy at both the state and federal levels," said Jonathan Linkous, CEO of the American Telemedicine Association, in a statement praising the Telehealth Enhancement Act. The proposed bill also aims to expand coverage in accountable care organization and patient-centered medical home settings, calls for a national pilot to test remote patient monitoring and payment bundling and gives consideration to identifying new "originating sites for purposes of payments for telehealth services under Medicare." 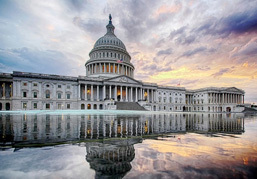 "We hope all of our members are energized to take advantage of opportunities with their Congressional lawmakers to join the effort in their states," Linkous said. The ATA has supported previous iterations of the bill, notably the Telehealth Enhancement Act of 2013. Indeed, when Cochran and Wicker introduced the 2014 version they described it as "a companion bill" to the 2013 attempt made by Gregg Harper, R-Miss., last year. But all of this leads to the question: If the Telehealth Enhancement Act of 2014 passes Congress and gets signed into law, will the payment restrictions it lifts from telemedicine services be enough?